A high level of quality and safety in the interior furnishings of your customers will greatly increase their home comfort. Our experts carry out testing and certification services for all types of furniture, from commercial office furnishings to kitchen cabinets, bathroom furniture, and beyond—even laboratory and workshop furniture. We conduct product testing in accordance with national and international standards before issuing various test marks, such as the GS mark for certified safety (Geprüfte Sicherheit), our TOXPROOF quality seal and other certificates for harmful substances. This allows you to document the safety and quality of your furniture with full transparency for your customers, while at the same time conforming to all applicable test standards for interior furnishings. You want to have your furniture products tested and certified? Contact us to arrange a meeting with our experts. As an independent third party, our testing and certification procedures are the best way for you to demonstrate your furniture’s safety and reliability. This helps to boost the confidence of your customers in the quality of your products and provides them with additional guidance in their purchasing decisions. Furthermore, we will incorporate your products into the Certipedia platform, our online database of certificates, once they have been certified. This entry is another way of increasing the visibility of your furniture’s certified quality. This is how our appraisers conduct certified furniture tests. Thanks to our cooperation with international institutes and organizations, you can take advantage of our longstanding experience and proven competence as well as short testing times. In other words, we provide holistic solutions from a single source. Furthermore, we are members of national and international furniture committees such as the European Committee for Standardization (Technical Committees CEN TC 207) and ISO TC 136. As a result of these memberships, we are involved in the development of new as well as existing standards. That means our specialists are always up-to-date and closely involved in rapidly changing markets. This in turn bolsters their professional expertise and informs their work on a daily basis, a fact that is clearly reflected in our comprehensive testing. Contact us now for more information on furniture testing and certification! You want to learn more about furniture testing and certification? We have collected and answered the most frequently asked questions on this topic. As a manufacturer, why should I have my furniture tested on harmful substances? The well-being of your customers can be compromised by unpleasant odors, contaminants, or other environmentally harmful substances coming from your furniture. By certifying your products with our mark for pollutant testing, you can demonstrate your high quality standards while offering your customers additional guidance in their purchasing decisions. Which substances are tested in the furniture? The contaminants to be examined depend on the test object at hand. Our specialists are intimately familiar with the different standards and requirements for each piece of furniture. With our service, you can be sure that your product is free from harmful substances and toxic contaminants. What type of test marks are available for me to certify my furniture as tested for harmful substances? You can have your furniture certified with our “TÜV Rheinland Tested for Harmful Substances“ and “LGA Tested for Harmful Substances” marks. Since there are no legal limits for pollutant emissions from furniture, our certification marks close the gap between a lack of legislation and end-user expectations. They include demands that go beyond existing legal requirements. How can I certify mattresses and polyurethane foam as contaminant-tested? Likewise, we can certify mattresses and polyurethane foam products with our in-house LGA certification mark. 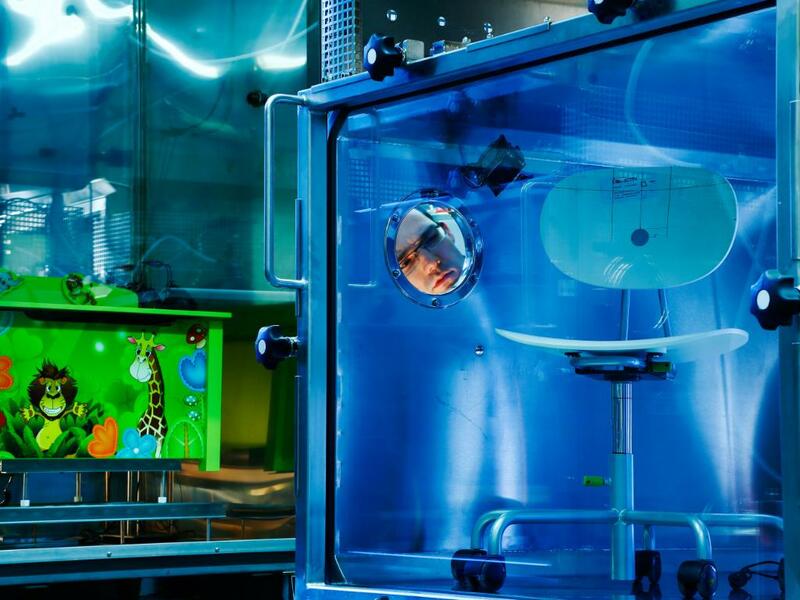 The emissions testing procedures at TÜV Rheinland LGA Products GmbH focus on the measurement of pollutant emissions from flexible foams and their end products. These tests are designed to verify that your products contain only minimal traces of carcinogens, mutagens, and reprotoxic substances as well as volatile organic compounds (VOCs) in the form of total VOC (TVOC) . Is it possible to have TÜV Rheinland certify the quality of individual furniture components, materials, or fittings? Yes, it is possible with our “LGA-tested quality” certification mark. Indeed, the quality of furniture as a whole is integrally dependent on its vendor parts, materials, and components. The use of pre-tested, certified furniture components is therefore an important aspect of quality management and a helpful tool to maintain documentary proof of heightened quality and product safety standards for furniture with the GS mark and the TÜV Rheinland Q-mark. 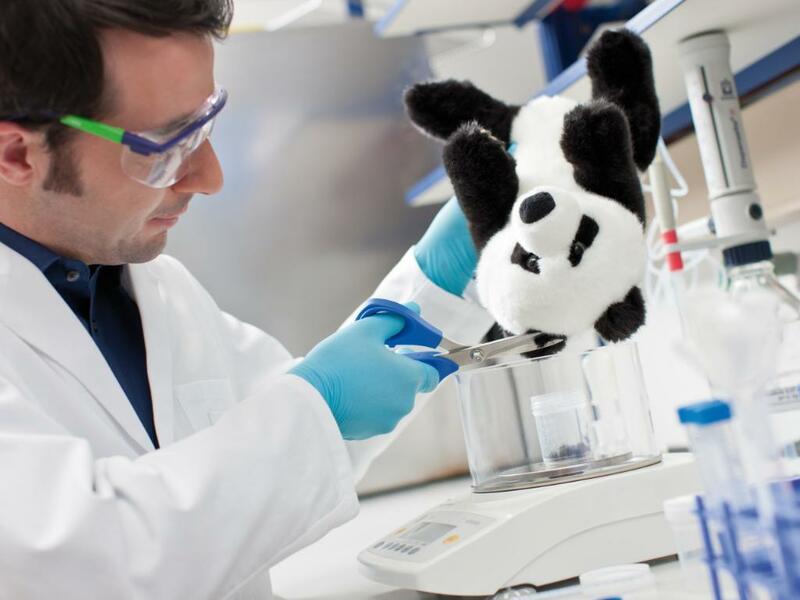 What are the benefits of testing and certifying my products for harmful substances? By certifying your furniture with our test marks, you have a documented proof that they meet a higher standard of quality and product safety for furniture along with their component parts. In addition, testing and quality certificates from a neutral appraiser and independent third party are an invaluable aid to furniture manufacturers looking for the best choice of vendor parts. And finally, the inspection of mattresses and foams for pollutants provides consumers with the assurance of safety—for a relaxing, healthy night’s sleep. 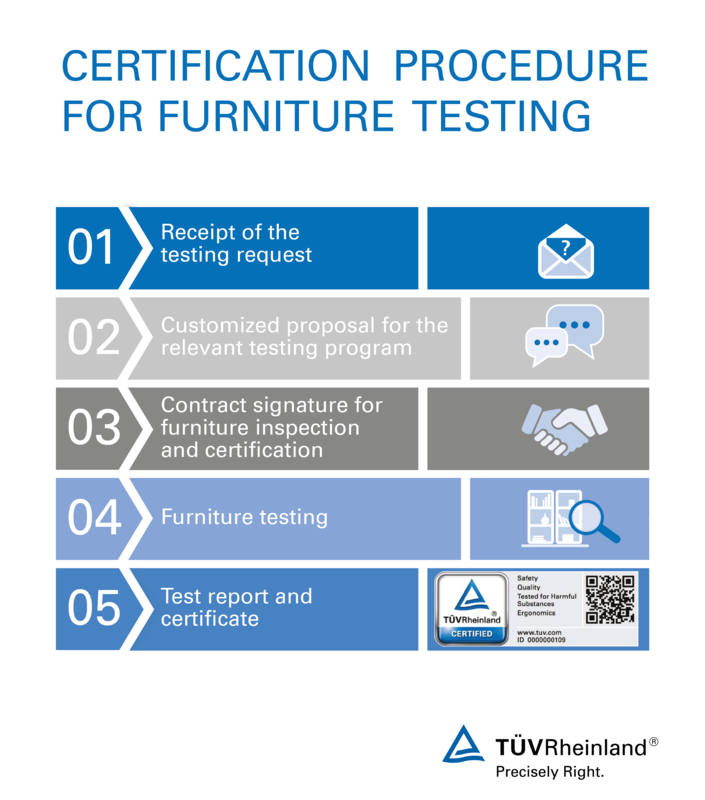 What types of furniture does TÜV Rheinland test and certify? Your question is not listed here? Do not hesitate to contact us! We are happy to help.